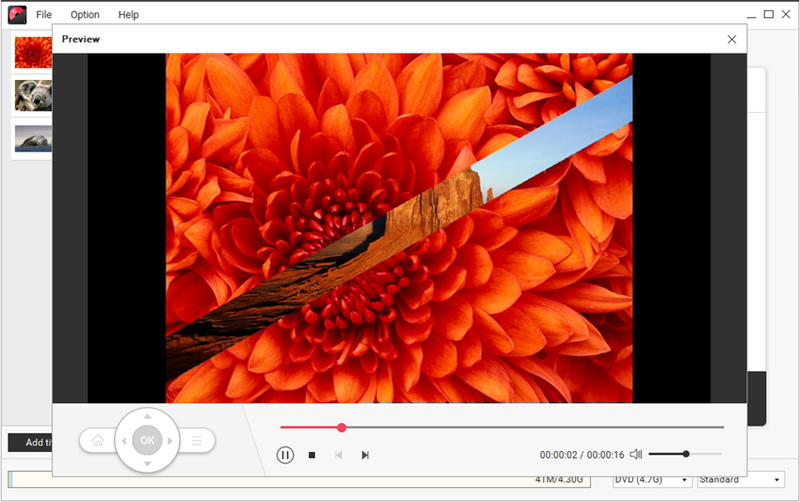 Want to find a quick way to burn video or image files to DVD disc? Well, you're in the right place! The following is the step-by-step tutorial on how Wondershare DVD Creator creates your DVD with 1 click. 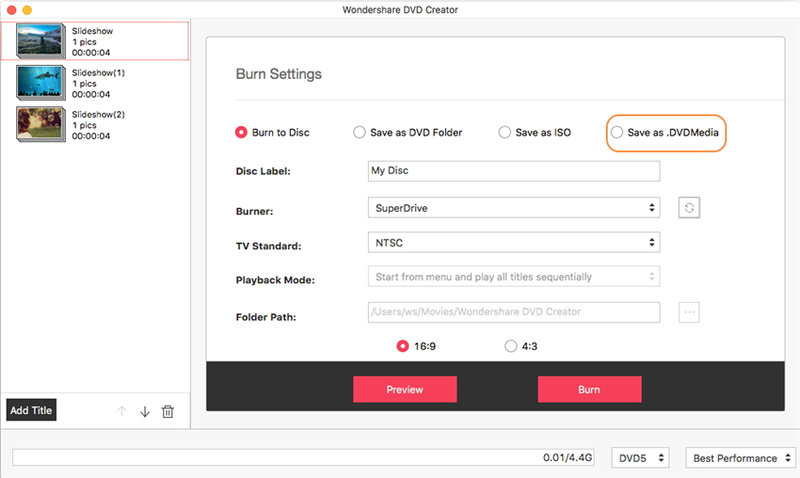 Open Wondershare DVD Creator and click One-click to Burn DVD. Then you'll come to the main interface for quick DVD disc burning. 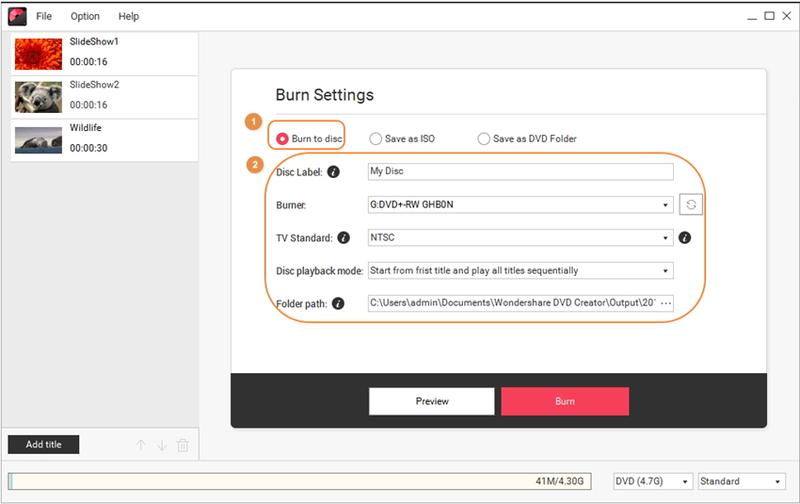 You can also click More DVD Tools >> and choose One-click to Burn DVD Disc to access the quick DVD burning window. Click to add the videos or pictures you want to burn to DVD from your local computer. 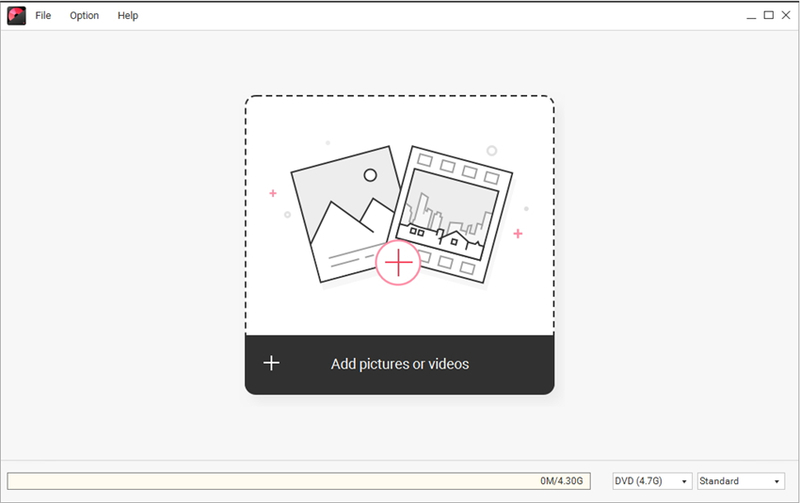 Hit Add title in the bottom-left to import more files to the program, and then you'll see the loaded video or image files in different slideshows just as the screenshot shows. If you want to change the order of the loaded slideshows, just select the slideshow and click or as you wish. 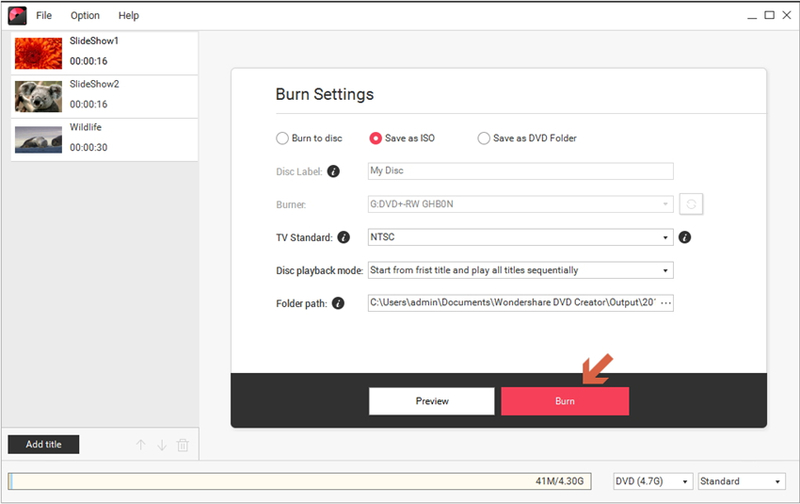 Now insert your DVD disc, choose Burn to disc and select TV Standard, Disc playback mode based on your needs. If you have no DVD disc at hand, choose Save as ISO or Save as DVD Folder and complete the burn settings as requested. If you're Mac users, you'd have one more option to Save as .DVD Media as below. Click Preview to view your just created DVD slideshow. If you're satisfied, hit Burn to start DVD burning right away.